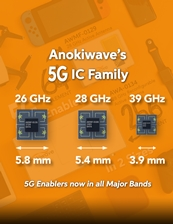 Anokiwave has expanded its family of mmWave 5G ICs with the worldwide release of the AWMF-0135, a 24.25 to 27.5 GHz silicon active antenna quad core IC for the 5G communications markets. The AWMF-0135 supports 4 radiating elements, and includes 5-bit phase control and 5-bit gain control for analog RF beam steering. Anokiwave’s patent-pending IP blocks implemented in silicon technology enable low-cost hybrid beam forming with high energy efficiency and low latency beam steeringTM. The AWMF-0135 is a highly integrated half-duplex transmit-receive IC in a commercial 6 x 6 mm QFN-style surface mount plastic package, easily fitting within the typical 5.8 mm lattice spacing at 26 GHz for easy installation in planar phased array antennas. 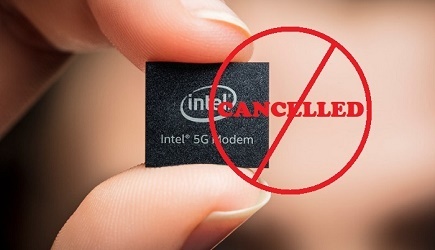 The IC uses the same pin-out, die footprint, and control interface as the AWMF-0108 28 GHz IC for ease of implementation by their customers. In addition to individual parts, Anokiwave offers Developer Kits (AWMF-0135-DK) for ease of adoption of the technology and capabilities. The kits include boards with the IC, USB-SPI Interface module with drivers, and all required cables. Pilot production deliveries are available now. Click here to know more.